Guess what dark chocolate does? According to a 2018 study by Loma Linda University, eating dark chocolate with a high concentration of organic cacao (70 percent, or more) reduces stress and inflammation. The study was based on the fact that cacao has strong antioxidants and anti-inflammatory agents which can improve your memory, immunity, and mood. Countries that want more Nobel Prizes should supply their citizens with more chocolate. (Seriously). According to a 2012 study published in the New England Journal of Medicine, there’s a strong linear correlation between chocolate consumption per capita and the number of Nobel winners per 10 million persons in 23 countries. The study also found that it’d take an average of 0.4 kg of chocolate/capita to increase the number of Nobel winners in any given country by one which translates into 125 million kilos of chocolate per year in the United States. One of the benefits of Nitric Oxide is that it relaxes and widens your blood vessels causing blood to flow with minimum resistance and thus reducing your blood pressure. Now guess what dark chocolate does? The dietary flavanols found in cacao-rich foods like dark chocolate stimulate a certain type of cells in your blood vessels called “endothelium” to produce Nitric Oxide and, as a result, reducing blood pressure. Two cups of hot chocolate a day, according to a 2013 study published by the American Academy of Neurology, can improve one’s cognition, especially for seniors. The study that measured the cognitive response of sixty seniors after 24 hours and 30 days of cacao consumption found a notable improvement in the participants’ white matter which is the area in the central nervous system responsible for learning and memory. These findings were confirmed by two more studies; first by the University of Northern Arizona which found that chocolate can increase brain characteristics of attention in participants. The second was a 2016 study that included 968 participants of different ages and genders and found that more frequent chocolate consumption was significantly linked with better performance across various areas such as the Visual-Spatial Memory ( information processing efficiency), visual scanning, visual tracking and abstract reasoning which highlights one’s ability to identify different logical patterns and rules. A recent study by the Luxembourg Institute of Health University (LIH) found that cacao-based products may affect insulin resistance and reduce the risk of diabetes. The study that was published in the British Journal of Nutrition found that among 1153 participants, those who ate 100 g of dark chocolate each day had reduced insulin resistance and improved their liver enzymes and reduced the risk of cardiovascular diseases. 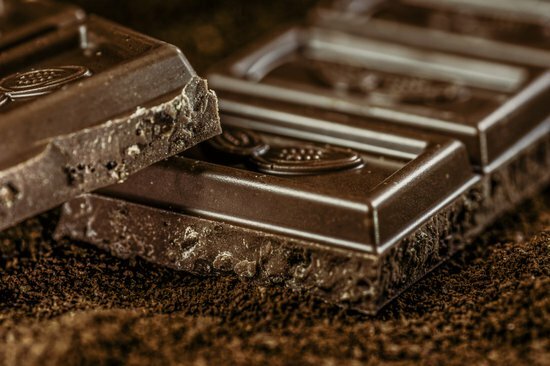 “Healthcare professionals should encourage individuals to consume a wide range of phytochemical-rich foods, which can include dark chocolate in moderate amounts, says Prof Saverio Stranges, the Scientific Director of the Department of Population Health at LIH. In case you don`t know, there are two types of cholesterol, LDL (the bad one) and HDL (good). According to several studies, cocoa-based products can reduce LDL and increase HDL percentages in your blood. One four-week study done in 2007 found that polyphenols like procyanidins and catechins (also found in green tea) can inhibit both your normal and oxidized LDL concentrations while elevating your HDL at the same time. Another study by the University of Illinois estimated the change in cholesterol concentration to be a 2 percent for the Total Cholesterol and 5.3 percent for LDL. Is Chocolate As Healthy As Studies Claim?